Some hunters don’t care. For others, shooting a Boone & Crockett whitetail buck is the holy grail of hunting. In order to be considered a Booner, typical antlers must score at least 160 inches. Non-typical racks must score 185 inches. 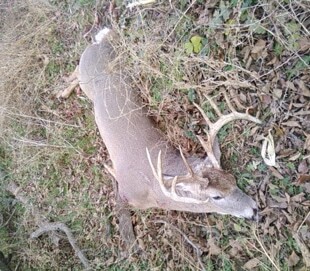 If you’re wondering how antlers are scored, see the Boone & Crockett Scoring Sheet. Buffalo County, Wisconsin is consistently at the top of best counties for Boone & Crockett bucks so it should be no surprise that Wisconsin ranks No. 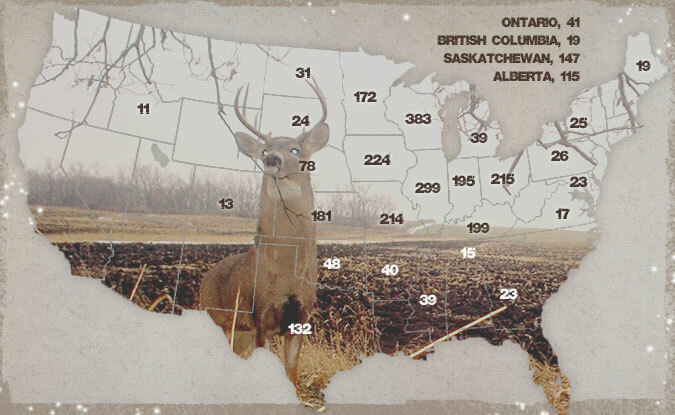 1 on the list of best states and provinces for B&C whitetails. Access can be difficult in Buffalo County, but many Northern Wisconsin counties also have great B&C potential and are covered with public hunting land. Residents & Non-residents can buy tags over the counter with no drawing required. A non-resident deer license costs $160 in Wisconsin. A bargain compared to other trophy states. Illinois bucks benefit from great whitetail habitat. Intense agriculture in much of the state provides a rich food source. Bucks living along the Mississippi Valley thrive in hilly habitat similar to Buffalo County, Wisconsin. Access is much more difficult in Illinois with private landowners and hunt clubs holding most of the property in prime areas. The state holds a drawing for deer permits and nonresidents will pay well over $300 in license fees alone. Iowa may very well hold the top spot for B&C bucks in the near future. The Hawkeye State has a preference point system for nonresident buck tags. It typically takes four years for a nonresident to pull a coveted Iowa buck tag and the sticker price is awfully spendy as well. Land access is tough here as well, but there are some options for those who don’t have a place to hunt. Ohio & Missouri are both well kept secrets when it comes to trophy whitetails but word is spreading fast. Non-residents can purchase deer licenses in both states without going through a drawing.